Are you looking to accept payments on your WordPress site? PayPal makes it easy for website owners to accept payments online without a merchant account. 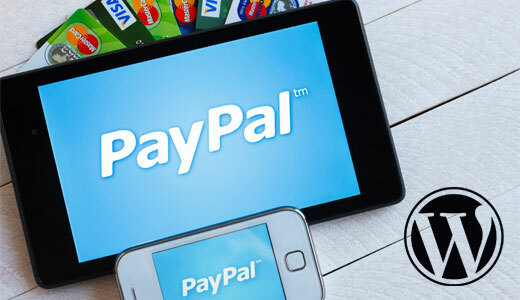 In this article, we will show you 10 WordPress PayPal plugins for accepting payments. 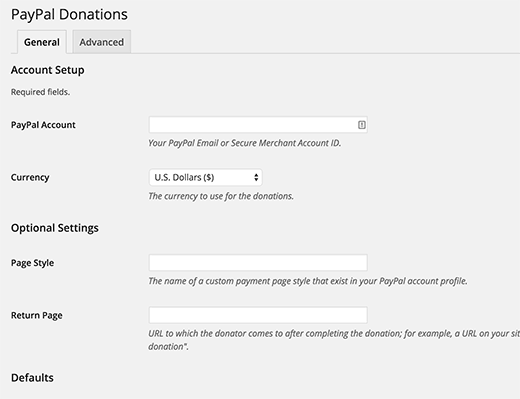 Before we start, if you just wanted to quickly add a PayPal donate button on your site, then check out our tutorial on how to add a PayPal donate button in WordPress. For all others who want to accept PayPal payments for selling products and services, please continue reading. This simple but powerful plugin allows you to easily accept payments using PayPal. All you need to do is setup a payment form and add it to any page on your site using a shortcode. The plugin also provides an easy user interface to customize the appearance of your payment form. PayPal Responder allows you to sell individual products on your site using PayPal. Your users can pay for a product using PayPal, and you can setup an autoresponder which sends users the link from where they can download or get the product you are offering. It is really simple and particularly useful for single product sites because it eliminates the need to add a shopping cart. PayPal donations is a simple plugin that comes with shortcode and a ready to use PayPal WordPress widget that you can add to your sidebars. All you need to do is install and activate the plugin, then visit Settings » PayPal Donations to configure the plugin. You can choose a thank you page where users will be redirected after the donation. 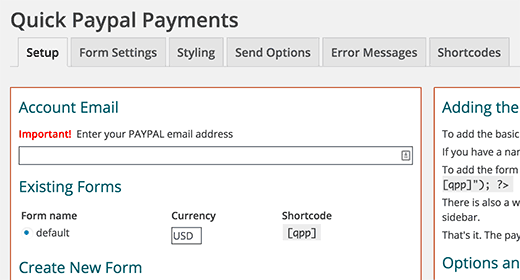 As the name suggests, this plugin allows you to add a PayPal button using a WordPress shortcode. You can configure all the plugin options inside the shortcode which makes it a bit complicated. The plugin page has all the possible parameters and instructions on how to use it. The WordPress Simple PayPal Shopping Cart provides an easy way to sell products / services on your website and accept payments using PayPal. It adds a shopping cart system and allows users to add products (physical as well as digital goods) to their cart. On checkout users can pay using PayPal. Easy PayPal Shopping Cart is another WordPress shopping cart for PayPal that allows you to sell on your site. You can simply insert add to cart button on any WordPress page. It takes users to PayPal where they can make payment. This plugin also allows you to set up redirect pages for confirmation and thank you notes. WooCommerce is the most popular WordPress eCommerce plugin, and it has built-in support for standard PayPal accounts. PayPal for WooCommerce provides support for both PayPal express checkout and PayPal Pro API support for all WooCommerce websites. It adds PayPal Payments Pro tab to the checkout settings in WordPress where you can configure the plugin. PayPal Payment is a relatively new plugin which offers a PayPal WordPress widget and a shortcode. You can add PayPal button into posts, pages, and sidebars. The plugin also maintains a list of payments and sends payment confirmation emails to the WordPress admin as well as the customer. 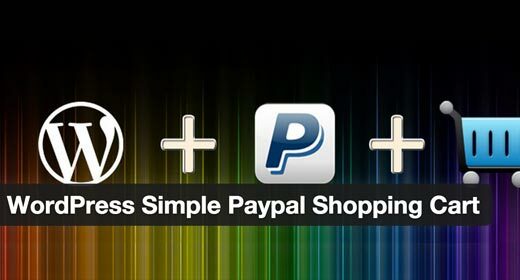 Easy Digital Downloads is another popular WordPress eCommerce plugin that has built-in support for PayPal. This plugin adds PayPal Express and PayPal Pro payment gateways to your Easy Digital Downloads site. Using PayPal Pro API in WordPress, your customers can enter their credit card information without leaving your website. It allows you to seamlessly integrate your WordPress site with PayPal. Note: PayPal Pro is only available in USA, UK, Canada and Australia. WPForms is the most beginner friendly contact form plugin for WordPress. This drag & drop online form builder allows you to easily create contact forms, email subscription forms, order forms, payment forms, and other type of online forms with just a few clicks. The PayPal add-on allows you to accept payments in WPForms. You can create your own forms such as order forms, donation forms, or product purchase forms. It can be used for payments, sponsored posts payment, donations, etc. We use WPForms on WPBeginner and all of our other sites. Use this WPForms coupon to get 10% off your purchase. We hope this article helped you find a PayPal WordPress plugin for accepting payments on your site. You may also want to check out our guide on 5 PayPal alternatives to collect payments for in WordPress. So, are there no plugins that allow me to take the code from the hundreds of PayPal buttons that I’ve already created and use it on a WordPress Page and have the dropdowns work? Why has no one written a conversion plugin that would take PayPal’s html button code and convert it to something WP can use? I need a PayPal Button let me add to my wordpress page after making price calculation to my services (Editing). I have a customer who represents a nonprofit. She would like to sell tickets to charitable event and also have the option for the customer to give an additional donation on top of buying a ticket to the event. Is there a plug-in that with allow for the creation of a form for a ticket purchase and a variable donation all at once? Please advise where to acquire the 8. PayPal Payment plugin? at airbnb, there is an option that customer’s deposit payment being charges when there’s damage condition. looking to doing a group purchase website, when I refer to market player, customers click “commit price” to makes payment at paypal, but at paypal the payment not get charge immediately, which there’s a line at paypay payment page: your payment being processed later. so when the group purchase quota reach, then the committed payment will be charge, or else the deal will be cancel. any paypal plugin (website base is wordpress & woocommerce) with this “payment being processed later” plugin? Your site is a wealth of great info for all of us!! I need a plugin for PayPal that allows me to collect a couple of more pieces of information from somebody joining our association such as spouse, who recommended you, etc. and have that returned to us. Was planning on using “Instructions to Seller” in PayPal to collect this but it looks like that is no longer available. Am willing to add in code to make this work. Have Simple PayPal Shopping Cart installed and love it. 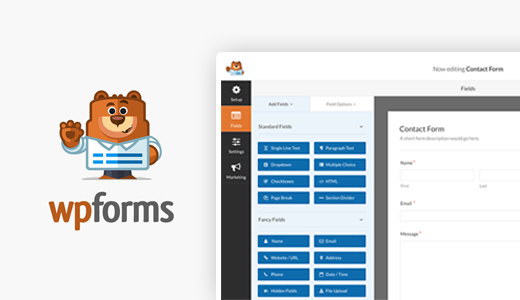 Please checkout WPForms, it is a WordPress form builder plugin with a PayPal addon. You will be able to build a form and integrate it with PayPal. Witch one is better for downloadable file? Wich one support more Gateway s ? I am trying to use WPForms in my site but I can not understand settings. Is anybody here who can help me in this? Please see our step by step guide on how to create a contact form in WordPress. Are you using a WordPress plugin or eCommerce platform to accept payments through PayPal? If so, can you please check that the plugin or payment settings is not in sandbox mode. 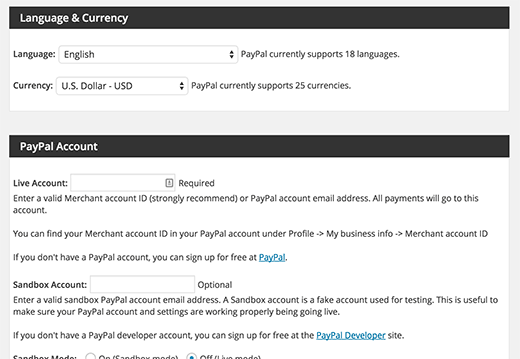 PayPal’s API allows developers and site owners to test their applications using the sandbox mode. In this mode, transactions are not processed but your plugin will show that they did because it is in testing mode and was able to pass the test. I am developing a WordPress website for a high school baseball team. I need a plug in to help manage player fees paid online and the accounting to be displayed on a secure webpage of each players account as payment are made (ie balances, amount owed. etc.). I know this page is directed towards payment gateways and plug ins but any additional input related to my needs is appreciated. i am trying to take paypal off that someone installed as its going into someones elses bank account How do i take it off my web site Its a word press web site Where do I look to take it off ? Depends on where the paypal button or payment option appears on your site. You can start by disabling plugins one by one. Until the payment option is gone. If that doesn’t work then try editing posts or pages where the button appears. Lastly, look in Appearance » Widgets to see if there is a widget with paypal button code. I am trying to set up a recurring payment/ subscription button. The only code available on PayPal is to copy and paste to a website, but I understand the email html code is the correct one. Nothing enables this on the PayPal site. Is there a plugin for this feature? Cheers! I am looking for a way to take payments, recurring monthly payments and be able to up sell on the checkout page as well as integrate with Aweber to capture the email details and add it to a list. I am unsure which plugin to use is there one which does all? Love your articles! So clear and easy to follow. Thanks! Glad you find them helpful. Hi, does anyone know of a WP button that allows you to add postage costs to it please? I can only find ones that you put with the price of the article but not with a field for the postage costs. I also have only one item to sell not multiples. Thanks in advance for any help or advice. Can I add paypal to any wordpress theme? Can you utilize both with PayPal – WooCommerce and Gravity forms on the same WP site. WooCommerce of course allows for more for visual presentation but gravity forms offers a different avenue of approach for conversion as well. Any insights or thoughts on this would be much appreciated. Thanks. I have the same issue, how can I use the Australia post codes have different shipping rates? Thank you for this post. It is really useful as I’ve just started trying to research Shopping Carts that work wih WordPress. I do have a problem though that is probably more of an issue for someone (like me!) from the UK. If you are in the USA, Paypal has settings that allow you to set up local postage and international postage. However, for users of Paypal in the UK (for reasons that I can’t fathom?) don’t have access to this. So ….. as someone in the UK, I need a plugin that itself allows me to set postage for local/international (and ideally weight!!!) before linking to Paypal to carry out the actual transaction. Does anyone have any recommendations? Thank you. Elaine, did you ever find a solution? I have the exact same issue.